Ang Probinsyano (left) and Kay Tagal Kang Hinintay are two of ABS-CBN's longest-running teleseryes. An ABS-CBN teleserye is usually given a minimum of 13 weeks of airing. However, this has not been the case for most ABS-CBN teleseryes. Depending on the success and TV ratings, ABS-CBN teleseryes can get extended to over a year. PEP.ph (Philippine Entertainment Portal) regularly reports about the Kapamilya shows that get awarded with extensions. PEP.ph looks back on the longest ABS-CBN teleseryes that aired from the 1990s to the present. The shows included in this list aired for a year or almost 52 weeks. Take note that this list does not include weekend drama shows (like Gimik and Tabing Ilog) and seasonal umbrella drama shows (such as Precious Hearts Romances and Sineserye). The list also excluded those aired by blocktimers, except those that were officially co-produced by ABS-CBN. Mara Clara was top-billed by Judy Ann Santos and Gladys Reyes. It was the series that launched Judy Ann as a dramatic actress, and Gladys as a primera kontrabida. The pilot episode aired on August 17, 1992. Back then, the show was aired as a blocktimer in the afternoon block of the Kapmilya Network. It was created and directed by the late Emil Cruz, Jr. 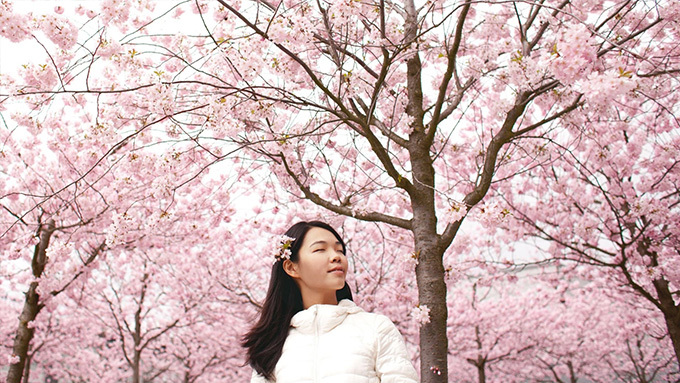 It took a while before Mara Clara was able to gain a huge following. In 1996, ABS-CBN started co-producing Mara Clara and was transferred to the prime-time slot. The network pitted Mara Clara against MariMar, a top-rating Mexican drama aired on RPN-9. 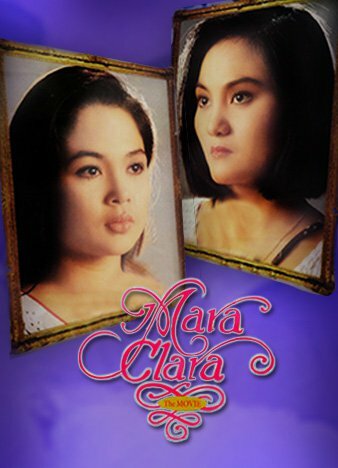 Mara Clara ended its run on February 14, 1997, after four years and six months on television. In October 2010, ABS-CBN produced a remake of the series starring Kathryn Bernardo and Julia Montes. It was supposed to be aired on the network’s early prime-time slot, but because of its impressive performance, the show was placed in the second prime-time slot after TV Patrol. During its airing, the Mara Clara remake also registered high ratings that its original 26-week run was extended to 33 weeks. Ang Probinsyano, top-billed by Coco Martin, is a TV adaptation of Fernando Poe Jr.’s 1997 movie of the same title. Coco also acts as creative consultant and one of the directors of this prime-time series. It aired its pilot episode on September 28, 2015. The show registered such high ratings on its timeslot after TV Patrol that it earned several extensions. In 2017, ABS-CBN already announced that the TV show is slated to end on May that year, after airing for 1 year and 8 months. 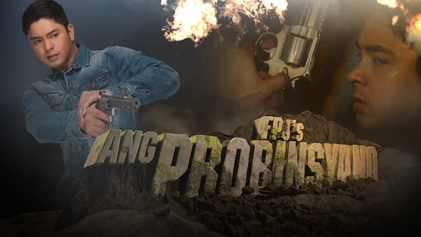 However, on April 21, 2017, the network announced that Ang Probinsyano would extend its run until January 2018. The show was officially extended two more times: first in June 2018, then later in September 2018. On July 4, 2018, following rumors that Ang Probinsyano will be replaced by Judy Ann Santos’s Starla in September 2018, ABS-CBN Corporate Communications said in a statement that Ang Probinsyano would not end anytime soon. Ang Probinsyano is still airing, and ABS-CBN has yet to announce when the show will end. Esperanza was Judy Ann Santos’s follow-up series after the success of Mara Clara. It tackled the story of a woman searching for her true identity and her missing siblings. The show aired its pilot episode on February 17, 1997. Throughout its run, the show registered high TV ratings. Some reports even said that its highest rating for a single episode was 67%. After two years and five months, the show aired its final episode on July 30, 1999. According to reports, the final episode of Esperanza registered a TV rating of 59.8%. Be Careful with My Heart, starring Jodi Sta. Maria and Richard Yap, was aired on ABS-CBN’s daytime block, at 10:45 a.m. on July 9, 2012. It was the first daytime series of ABS-CBN after many years. Unexpectedly, the series registered such high ratings for its timeslot that the network extended its original 13-week run until January 2013. However, Be Careful With My Heart continued to run beyond January 2013. In fact, on that year, a movie version of the show was being considered to be submitted to the Metro Manila Film Festival. The network later decided to withdraw the movie version and it was eventually shelved. Despite the cancellation of the movie version, Be Careful With My Heart continued to run until 2014. In September 2014, it was announced on TV Patrol that the series would air its final episode on November 28, 2014. Called the “Global Kapit-Bisig Day,” the final episode aired for one hour. This was followed by an interview with the show’s cast. Marinella served as the follow-up series of then-child actresses Camille Prats, Shaina Magdayao, and Serena Dalrymple after the success of their 1998 movie, Hiling. The show aired its pilot episode on February 8, 1999 on the Kapamilya Network’s afternoon slot. Marinella received the same degree of success of Hiling and the show lasted on air for two years and three months. It aired its last episode on May 11, 2001. Mula sa Puso is Claudine Barretto’s first prime-time series as lead actress, where she was paired with the late actor, Rico Yan. It was also the first teleserye to be helmed by the late director, Wenn V. Deramas. The show registered mediocre ratings at the start of its run. In fact, Direk Wenn revealed in an interview that Charo Santos-Concio, who was then head of ABS-CBN’s Entertainment Group, did not like the pilot week, which aired on March 10, 1997. Ratings started to shoot up when Direk Wenn decided to stage a bus explosion in the middle of Mula sa Puso’s run. The show’s main villain Selina (Princess Punzalan) blew up the bus Via (Claudine) was riding on. Selina sent chills down the spines of viewers when she let out her trademark evil laugh. Viewers believed that Via died in the explosion. A week later, Via resurfaced, alive and well. It was revealed that she was able to get out of the bus before the explosion happened. The series of events boosted Mula sa Puso’s ratings, allowing it to compete for the No. 1 slot against two other ABS-CBN shows: Esperanza and TV Patrol. Mula sa Puso aired its final episode on April 9, 1999, after two years and one month on the air. Sa Puso Ko, Iingatan Ka served as the first team-up of Judy Ann Santos and Piolo Pascual in a drama series, after working together in the drama series, Esperanza. It was also the comeback of Judy Ann in a teleserye after top-billing her own drama anthology special for one year. It premiered its pilot episode on June 18, 2001. Also part of Sa Puso Ko, Iingatan Ka were Angelica Panganiban, Coney Reyes, and John Lloyd Cruz. John Lloyd's character had to be killed in the middle of the show after ABS-CBN decided to give him the lead role in another drama series, Kay Tagal Kang Hinintay. Sa Puso Ko, Iingatan Ka aired its final episode on February 14, 2003, the same date when Mara Clara aired its finale. Saan Ka Man Naroroon was Claudine Barretto’s follow-up series after the success of Mula sa Puso. This time, she played the triplets Rosenda, Rosario, and Rosemarie. Also part of the show were Rico Yan, Diether Ocampo, Leandro Munoz, Cherry Pie Picache, and Eric Quizon. Jackie Lou Blanco and Gladys Reyes played the villains. The show aired its pilot episode on April 12, 1999 and ended on March 23, 2001, with a triple wedding staged in the show’s finale. Sa Dulo ng Walang Hanggan was a period drama aired on ABS-CBN’s prime-time slot, top-billed by Claudine Barretto. It was her third consecutive soap opera after Mula sa Puso and Saan Ka Man Naroroon. The pilot episode aired on March 26, 2001. This was also Claudine’s first drama series without Rico Yan, as she was paired with Carlos Agassi in this series. This show catapulted Mylene Dizon to become a household kontrabida, after her notable performance as Sally. Sa Dulo ng Walang Hanggan aired its final episode on February 28, 2003. Pangako Sa 'Yo was the first official Pinoy telenovela to use the term teleserye. It was also first drama series to use the same standards in producing movies. After all, it was Star Cinema's first venture into doing TV shows. The show, which first aired on November 13, 2000, catapulted the love team of Jericho Rosales and Kristine Hermosa to stardom. It also created the formidable tandem of Eula Valdes and Jean Garcia, who brought life to iconic characters Amor Powers and Madam Claudia Buenavista, respectively. Pangako Sa ‘Yo registered high ratings, and aired until September 20, 2002. After its almost two-year run, Pangako Sa ‘Yo was syndicated in other countries, such as Malaysia and Cambodia. It even had a remake in Cambodia in 2012. In 2015, Kathryn Bernardo and Daniel Padilla were tapped to do a remake of Pangako Sa ‘Yo, which went on air for nine months. Recuerdo de Amor served as the replacement for the top-rating Marinella on ABS-CBN’s afternoon slot. Recuerdo de Amor aired its pilot episode on May 14, 2001, the election day during that year. It was top-billed by Carmina Villarroel and Diether Ocampo, with Isabel Rivas and Gladys Reyes playing villains. One of the popular elements in the show was its official theme song performed by Jessa Zaragoza. Recuerdo De Amor's finale aired on January 10, 2003, after running for one year and eight months. 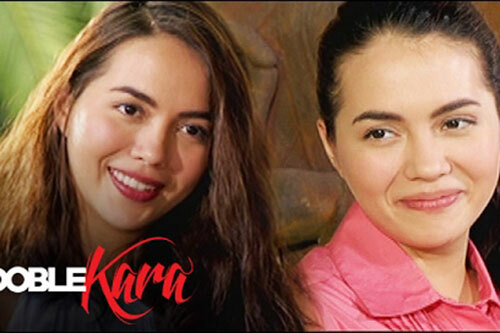 Doble Kara, which depicted a tale of twins played by Julia Montes, premiered on ABS-CBN’s Kapamilya Gold block on August 24, 2015. ABS-CBN was impressed with Doble Kara’s TV ratings that it ran for more than one season. On its eighth month on air, Dreamscape Entertainment teased that Doble Kara might end its run. However, it was later announced that Doble Kara was extended for another season. It eventually aired its last episode on February 10, 2017. Basta't Kasama Kita is the first teleserye of Robin Padilla and Judy Ann Santos together. It is also the first teleserye to have an action-romance theme. It premiered on ABS-CBN's prime-time block on May 26, 2003. 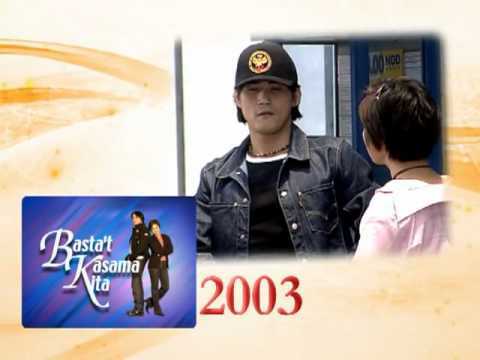 On September 10, 2004, after one year and four months, Basta't Kasama Kita aired its final episode. It made history by being the first teleserye to air a final episode live, shot in Luneta. Kay Tagal Kang Hinintay is the big break of John Lloyd Cruz on television, with Lorna Tolentino playing his mother. Kay Tagal Kang Hinintay was the project ABS-CBN gave John Lloyd when he almost transferred to GMA-7. The show aired its pilot episode on July 8, 2002. It was also in Kay Tagal Kang Hinintay where the love team of Bea Alonzo and John Lloyd Cruz was first formed. This paved the way for them to star in six more teleseryes and a string of box-office hits. Kay Tagal Kang Hinintay aired its final episode on November 4, 2003. The show ran for one year and four months. Sana'y Wala Nang Wakas served as the follow-up series of Jericho Rosales and Kristine Hermosa after the success of Pangako Sa 'Yo. It aired its pilot episode on May 9, 2003. The story intensified when Angelika dela Cruz and Diether Ocampo entered the series, and ABS-CBN staged a love square among them. Because of the popularity of the show and the love square, two weddings were shot for the teleserye's finale. Through text votes, viewers could choose if Kristine would end up marrying the character of either Jericho or Diether. On its finale on July 9, 2004, Jericho and Kristine's love team prevailed. The next day, the wedding of Kristine and Diether was aired as a TV special. Jolina Magdangal and Marvin Agustin's love team was put to the test on television when they top-billed Labs Ko Si Babe. This project is known as the first Filipino romantic-comedy drama aired as a teleserye. It aired its pilot episode on August 2, 1999, and replaced Esperanza in ABS-CBN's prime-time block. After one year and three months, Labs Ko Si Babe aired its pilot episode on November 10, 2000. It Might Be You served as the follow-up project of Bea Alonzo and John Lloyd Cruz after the success of Kay Tagal Kang Hinintay. It Might Be You aired its pilot episode on December 8, 2003. Kathryn Bernardo made a mark in this drama series when she played the younger version of Bea Alonzo's character Cielo. In fact, the storyline featuring Kathryn's character and the other young cast members was extended for eight weeks. It Might Be You ran for exactly one year or 52 weeks. Its last episode aired on December 13, 2004. May Bukas Pa is a religious-themed teleserye that featured child star Zaijian Jaranilla in his first lead role. He played the main character Santino who can talk to God and called him "Bro." It aired its pilot episode on February 2, 2009. The series was such a success in the ratings game that its original 8-week run was extended for a year, and ended its run on February 5, 2010. It ran for 52 weeks. This is the first time after many years that an ABS-CBN program stayed on air for one year. Wildflower was an early prime-time series of ABS-CBN that aired its pilot episode on February 13, 2017. It top-billed Maja Salvador as the vengeful Lily Cruz. The show was supposed to air in the network's afternoon slot, after It's Showtime. However, the pilot week impressed TV executives, which is why they decided to air it on Primetime Bida, as pre-programming to TV Patrol. Originally slated to air for 13 weeks, it was extended until October 2017. Wildflower managed to sustain its ratings that it was extended until its 52nd week on air, and ended on February 9, 2018.